Above: Joe Makouske (left), wrestling at 133, ties up with an opponent at the 2006 Pointer Open. 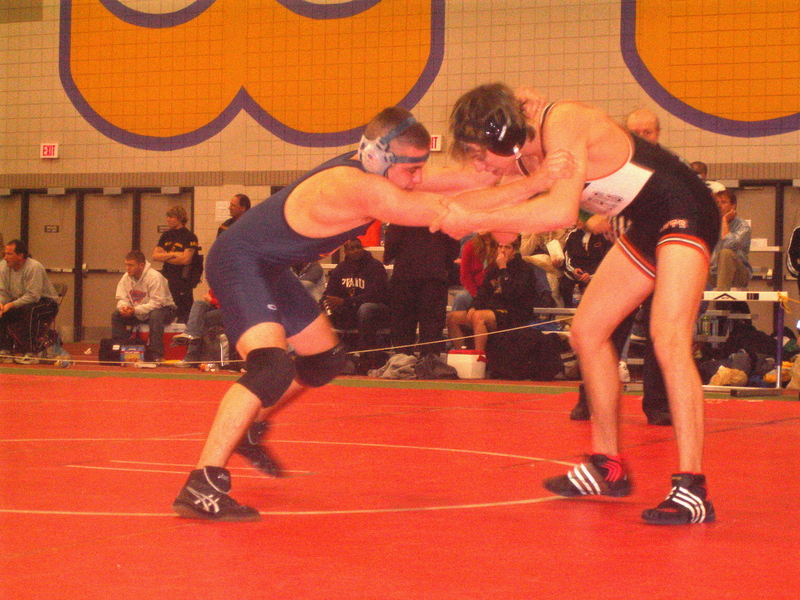 Below: Brett Coffelt (133) rides out his opponent at the 2006 Concordia Open. Above: Adam Crozier, wrestling at 165, tilts an opponent at the 2006 Concordia Open.